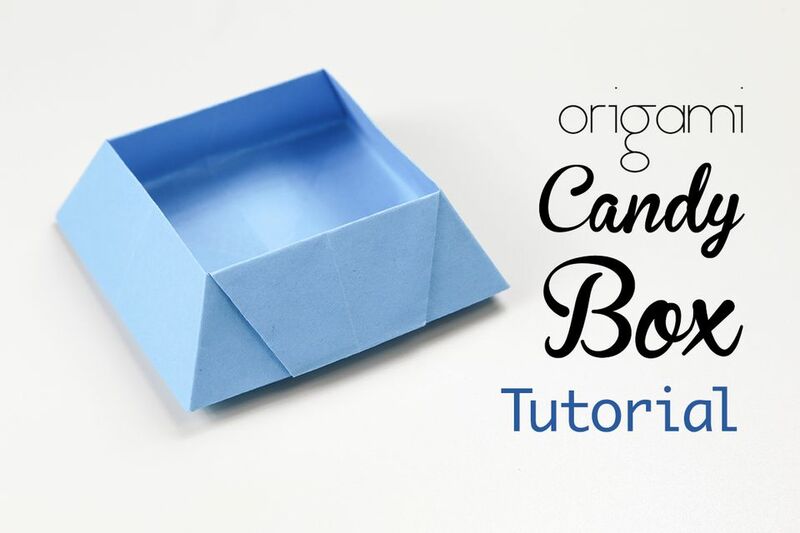 Learn how to make a traditional origami 'candy' box, this box has a wider base than the top, which makes it perfect for serving candy and snacks! This origami box looks more complicated than it really is, it should only take you a few minutes to complete, if you are a total beginner, maybe start with the Origami Masu Box or the Traditional Origami Star Box. You will need one sheet of square paper for this quick origami tutorial. Start with your paper white side up. 1. Fold the paper in half top to bottom and left to right. 2. Flip the paper over. 3. Fold the paper diagonally in half both ways. 4. Collapse the sides inwards bring the top down to the bottom. 6. Make sure the open flaps are at the top. 7. Fold the top layer down to the bottom. 8. Fold one layer over to the left. 9. This should be what you see. 10. Fold the left and right edges into the middle. 12. Do steps 7-10 on the opposite side. 13. Fold the flaps over so that you are left with 14. 15. Fold the top layer from the bottom up as far as it will go. 16. Fold the top down, aligning with the flap underneath. 18. Fold the flap inside the pocket. 19. Do the same on the opposite side. 20. Fold the flaps over. 21. Fold the top point down to the bottom. Repeat on the other side. 22. Fold the flap up, aligning with the flap underneath. 23. Fold the flap down again. 24. Open the flap out and refold so that they are all tucked in. 25. Insert the flaps underneath similar to what you did in step 18. 26. Repeat on the opposite side. 27. Fold the bottom triangle behind and unfold. 28. Open out the box from the top. 29. Straighten out the bottom of the box. How to Make Paper Origami Exploding Boxes!